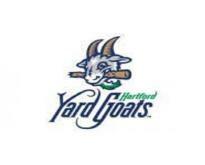 Baseball season is right around the corner and the Yard Goats season will include 70 home game at Dunkin' Donuts Park in Hartford. You will be able to see the future stars of the MLB including the future Red Sox, Yankees, Mets and more! The season will be filled with family fun and great promotions. Be sure to get your tickets before they are all gone by visiting yardgoatsbaseball.com.